The Reckon Board of Directors comprises of non-executive directors and executive directors who oversee the long-term health and success of the business. 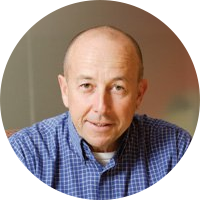 Greg Wilkinson has over 30 years experience in the computer software industry. 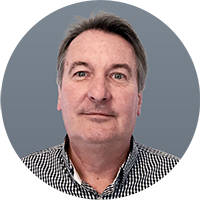 Greg entered the industry in the early 1980s in London where he managed Caxton Software, which became one of the UK’s leading software publishers. Greg co-founded Reckon in 1987 and was the Chief Executive Officer until February 2006. He was appointed to the position of Deputy Chairman in February 2006 and became a member of the board of the listed entity on 19 July 1999. He was appointed to the Audit & Risk Committee in February 2010 and Remuneration Committee in December 2011. Most recently, Greg was appointed as Chairman in July 2018. He is also an investor and mentor to a number of cloud based start-up companies. Newly reappointed in 2018, Mr Hayman was one of the co-founders of Reckon in 1987 alongside Greg Wilkinson. In the early days of Reckon he served as the company CFO and Head of Logistics. Mr Hayman has had varied general commercial experience through his investments in companies in start-up and first round capital raising phases. He has strong strategic finance acumen in both analytical and managerial accounting, excellent operational capabilities and strong compliance skills. Mr Hayman is presently a director of an unlisted public company, consults to an agricultural company with extensive holdings in southern NSW and currently owns and manages an accommodation company. 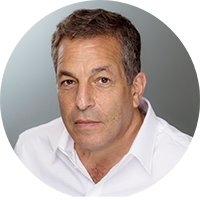 Mr Hayman re-joined the board in 2018 to lend his broad entrepreneurial flair and energy to the company as it continues implementing its growth strategy. Clive was Chief Operating Officer of Reckon from 2001 until February 2006 and in that time played a pivotal role in its turn-around. In February 2006 Clive was appointed to the position of Group Chief Executive Officer and in July 2018 was appointed Managing Director. He has extensive management and operational experience in the IT and retail sectors as both an owner and director of companies. Sam Allert has always been a passionate advocate of Accounting and Business Management. As such, he has been actively assisting Advisors and Business Owners implement IT strategies to improve their businesses since 1999. Sam has worked across a myriad of disciplines throughout his career including Sales, Consulting, Support and Office Management. 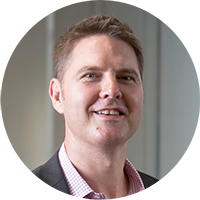 In 2011, he was appointment Managing Director of the Reckon Accountant Group, and in 2015 his responsibilities expanded as the Managing Director for Australia & New Zealand, for both the Accounting and Business Groups. July 2018 saw Sam appointed to his current role as the CEO of Reckon, accelerating the company’s long-term strategy to offer small businesses and the advisor network with a complete suite of cloud solutions to effectively grow and succeed. Below you will find several corporate governance policies relating to Reckon Limited. A director must recognise that the primary responsibility is to the company’s shareholders as a whole but should, where appropriate, have regard for the interests of all stakeholders of the company. A director has an obligation to be independent in judgement and actions and to take all reasonable steps to be satisfied as to the soundness of all decisions taken by the board of directors. Confidential information received by a director in the course of the exercise of directorial duties remains the property of the company from which it was obtained and it is improper to disclose it, or allow it to be disclosed, unless that disclosure has been authorised by that company, or the person from whom the information is provided, or is required by law. A director has an obligation, at all times, to comply with the spirit, as well as the letter, of the law and with the principles of this Code. Directors are expected to familarise themselves with the company policy and procedure manual and understand that they are bound by it to the extent that it applies to the performance of their duties as directors. 1.1 The audit committee is established to ensure the maintenance of the highest standards of integrity in relation to financial reporting, risk management, legal and standards compliance and corporate governance. 1.2.6 management of conflict of interest. 1.3 The committee remains accountable to the board. 2.1 The audit committee should comprise a membership of at least two non-executive members of the board. 2.2 The board shall annually review the membership of the committee. 2.4 The chairman of the company may not be chairman of the committee. 3.1 The audit committee shall meet no less than twice a year with such other meetings to be called as considered necessary. 3.3 A quorum shall be two members. 3.4 Other management staff may attend upon invitation of the chairman of the audit committee in respect of agenda items relevant to their areas of responsibility. 3.5 Representatives of the external auditors and related organisations may attend upon invitation of the chairman. 3.6 Minutes shall be kept of the meeting and these shall be circulated to all members of the committee and the board. 4.1 Review all audited financial statements intended for publication prior to recommending their approval by the board. 4.2 Monitor and review external audit process. 4.3 Ensure that the external auditor meets the required standards for auditor independence. 4.4 Monitor the performance and assess renewal of the appointment of the external auditor. 4.5 Monitor and review internal audit approach. 4.6 Monitor and review risk management and internal control structure. 4.7 Monitor the application of legal rules, accounting standards and corporate governance guidelines in respect of financial reporting and risk oversight. 4.8 Ensure compliance with legal rules, accounting standards and corporate governance guidelines in respect of financial reporting and risk oversight. 4.9 Monitor conflict of interest, review past or proposed transactions between the company, members or management and the board. 4.10 Review related party transactions and consider adequacy of disclosure in financial statements. 4.11 Assess the need for – and report to the board on – the appointment of external advisers. 4.12 Undertake all other tasks referred by the board from time to time. The Corporations Act, the ASX listing rules and the ASIC guidance principles all emphasize that the key principle underpinning a company’s continuous disclosure obligation is an informed market that is given timely disclosure of information which may affect a share price or influence an investment decision. This policy regulates directors, officers and employees’ dealing in company shares. It has been implemented in order to ensure compliance with the insider trading laws of the Corporations Law as well as the guidelines of the ASX Corporate Governance Council. This policy applies to all permanent and casual employees, and contractors of the Accountant, Business and International Divisions of Reckon Group (“Reckon”). Reckon Group includes Reckon Limited and all its subsidiary companies. The Reckon Group recognises that diversity and inclusiveness are a critical aspect of the effective management of its people and their contributions to the success of the Reckon Group. Diversity means differences in gender, race, age, culture, family or carer status, religion and disability as reflected across the Reckon Group employees, consultants, contractors and visitors. To enable and demonstrate a culture of diversity, all employees are required to behave ethically and professionally in the workplace. This of itself requires employees to be impartial, choose people for the right reasons, fair and reasonable treatment for all and equal employment opportunities. Managers and supervisors are responsible for ensuring these equality principles are realised in their day to day management of their team. The Reckon Group is committed to providing an environment free from discrimination, harassment and other inappropriate behaviour, in accordance with the relevant legislation and its policies and procedures already in place. All complaints of discrimination, harassment or other inappropriate behaviour are to be taken seriously and to be addressed in accordance with the reporting and resolution processes. Specifically and over and above existing policies in place, the Board has commenced setting measurable objectives to increase the representation of women at all levels of the business. The achievement of its gender diversity goals will be supported by various strategies and activities such as graduate programs, mentoring and recruiting activities. These objectives and the progress in achieving them will be assessed annually by the Board. Reckon will report its progress on achieving the gender diversity objectives in its Annual Report. A summary of collective skills of current board.